Acid reflux, also known as gastric reflux or gastroesophageal reflux disease (GERD), is an extremely common health problem. 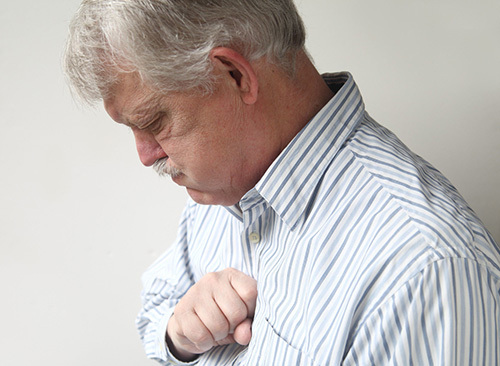 Sixty percent of the adult population will experience some type of acid reflux within a 12-month period. 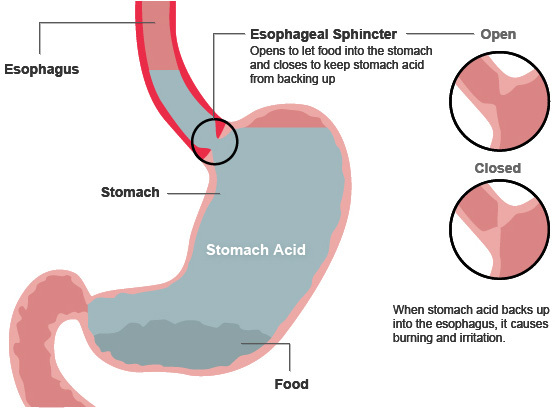 Acid reflux is thought to be caused by excessive amounts of acid in your stomach and this is why antacids and medications to block gastric acid production are often prescribed. This is a misconception and it fails to address the underlying cause. If you suffer from gastric reflux, chances are you take antacids or proton pump inhibitors to help control the symptoms. These medications either neutralise or “turn off” gastric acid production in the stomach. The problem with this is that gastric reflux is almost always caused by a lack of stomach acid and these medications interfere with proper digestion and nutrient absorption. Stomach acid also protects you from harmful bacteria, so lowering stomach acid can leave you susceptible to food poisoning. The primary cause of gastric reflux is commonly related to hiatal hernia. In other words, the valve that separates the oesophagus from the stomach fails to close properly and gastric juices leak back causing the symptoms often described as heartburn. And this is where diaphragmatic breathing comes in. A poorly functioning diaphragm is known to be a part of the hyperventilation pattern of breathing. The body responds to the need to over-breathe by activating the upper chest muscles to breathe. When this pattern exists the diaphragm often ends up in a chronically descended and flattened position and cannot relax, a state known as paradoxical breathing. 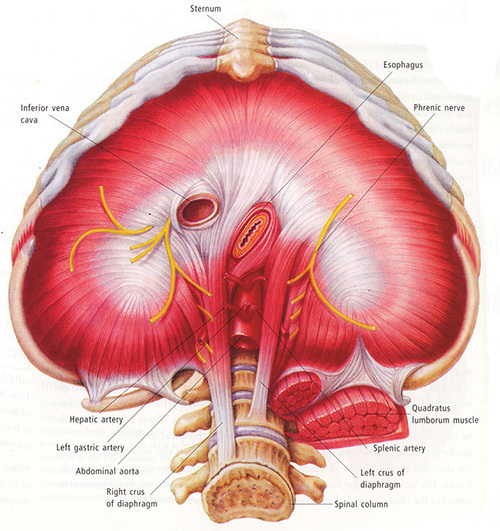 Correct use of the diaphragm helps correct paradoxical breathing and tones the diaphragm. A toned diaphragm is essential for proper closure of the valve at the top of the stomach. This helps correct the hiatal hernia, unlike proton pump inhibitors that are only suppressing acid production. But wait there’s more: Hyperventilation and paradoxical breathing contribute to keeping a person in flight or fight which can cause indigestion. So diaphragm breathing exercises are thought to help normalise your breathing and turn off the fight or flight response, easing digestion. The Buteyko programme focuses on normalising your breathing pattern and restoring functional diaphragmatic breathing. The breathing exercises are also effective at reducing stress which is a common trigger in gastric reflux. We will also help you determine foods that might be contributing to your symptoms. These can include; alcohol, caffeine, refined grains and dairy. Contact us to learn more about help for gastric reflux and many other breathing related disorders.